• With the back cut off, pulling the engine is much easier. I did it a couple of times on a '72 Super Beetle, but this round went to French's. • There are many different things I want out of my engine, so it was decided to have French's custom build one from scratch. They have many decades of training, engine/trans building and Baja Bug racing. They begin with a magnesium case. Includes clearancing and de-burring. 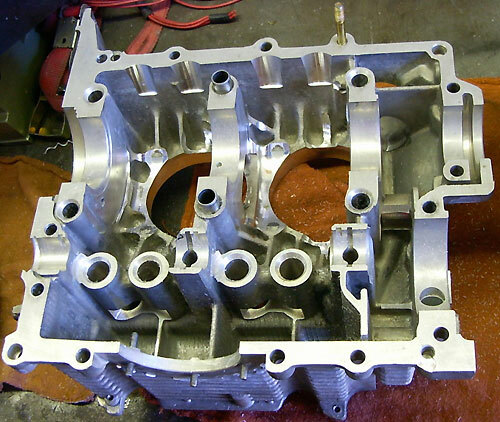 • A stock VW engine is a 1600cc, while earlier models are around 1400cc. This refers to the "size" or displacement in cubic centimeters. A 1600cc VW produces about 40 horsepower. 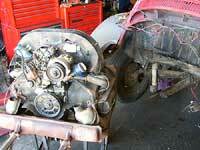 All of the engine work, transaxle (and other work as indicated) was done by French's Auto Parts. • For both off-road power and freeway running with AC, I chose to have a 2110cc engine built. It was never bench tested, but technically could 150hp; in reality, no one achieves the theoretical horsepower. In any case, a lot of the torque is reduced owing to the oversized rear tires, meaning you trade speed for traction. • Just a side alley here to look at the custom transmission, which was finished before the engine. 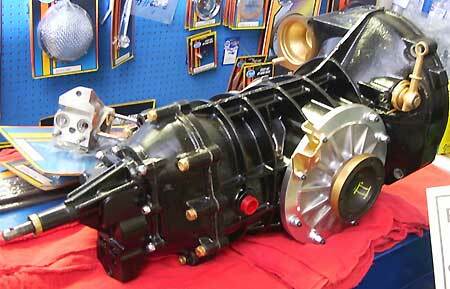 In truth, this is called a TRANSAXLE, which incorporates the transmission (aka, gear box). Transaxles are used for front engines with front wheel drive, or rear engines with rear wheel drive. Most people shorten this to "trans." 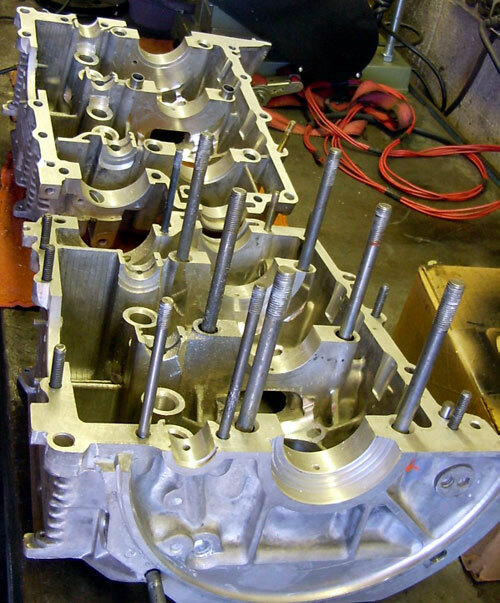 • A trans has to be specially made for both the engine, tire size and purpose of the vehicle. I wanted low-end power for off-roading, but also for drive freeway speeds under load. 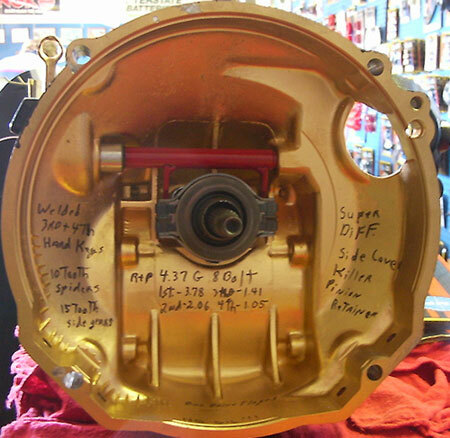 • Inside the bell housing are the specs: Welded 3rd & 4th hardened keys, 10-tooth spiders, 15-tooth side gears; R & P (ring and pinion ratio) 4.375, 8-bolt; gear ratios 1st - 3.78, 2nd - 2.06, 3rd - 1.41, 4th - 1.05; Super Diff, Side Cover, Killer Pinion Retainer.